Green Engine Drives Quality on the Main Line in Haverford, Pa.
For years, Zach Morris has worked in the upper echelons of Philadelphia’s beverage industry, serving most recently as director of education for the National Wine School and Philadelphia Beer School. As a sommelier with feet in both the worlds of beer and wine, Morris’ personal and professional interests run the beverage gamut, with coffee always present in his personal life. 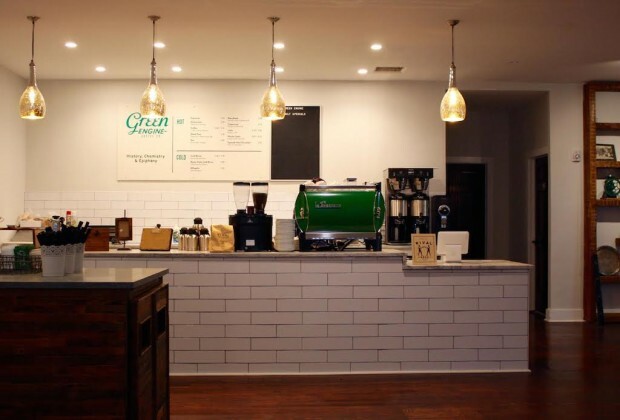 This week, Morris and his family dove headfirst professionally into the coffee world, opening retail café Green Engine Coffee in the heart of the affluent western Philly suburb of Haverford on the Main Line. After signing a lease in March for an 1,800-square-foot space inside an historic building that had laid dormant for the past four years, Morris and his wife Jocelyn began the laborious process of transforming the shell into an attractive, inviting and upscale contemporary café. The space is filled with white and natural earth tones, with large bay windows providing ample natural light for the marble-top bar and seating areas supported by reclaimed dark wood flooring. 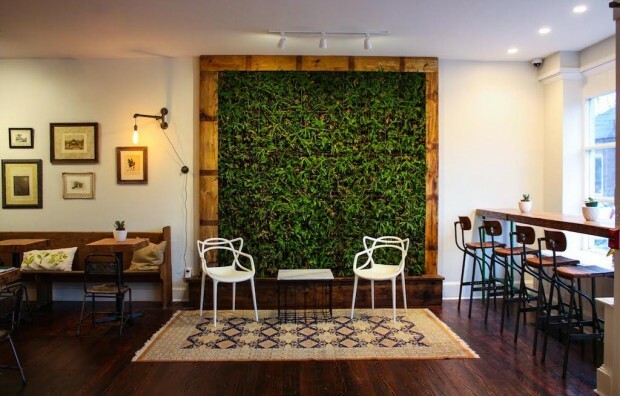 A defining touch within the space is an 81-square-foot living wall, made possible through Morris’ own experience running a design/build firm that specialized in green walls and roofs. 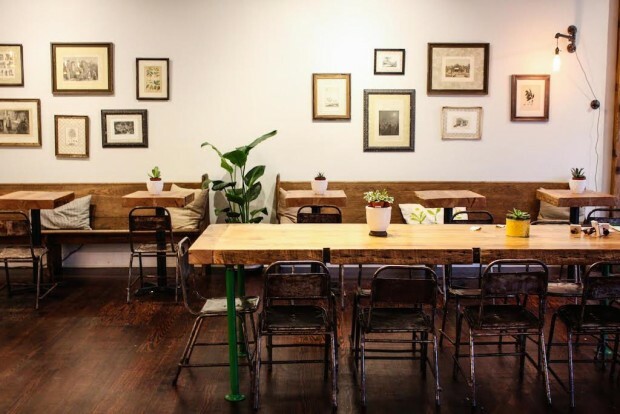 All of Green Engine’s coffees are coming from Philadelphia favorite Rival Bros. Coffee. In selecting a wholesale partner, Morris said he considered roasters big and small from throughout the country, although he was always leaning toward working with a local company. 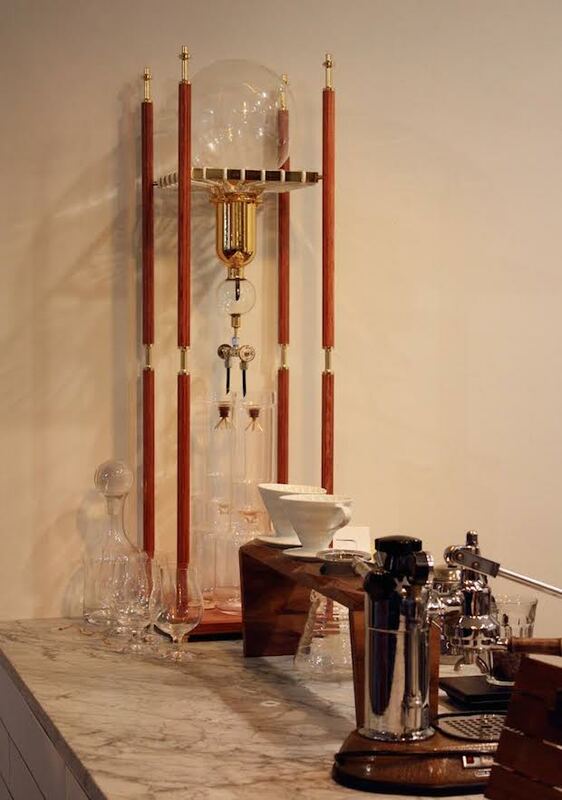 Following untold numbers of self-imposed blind cuppings and tastings incorporating as many different brew methods as possible, Morris said he found Rival Bros. to routinely deliver some of the highest quality coffees with remarkable consistency. 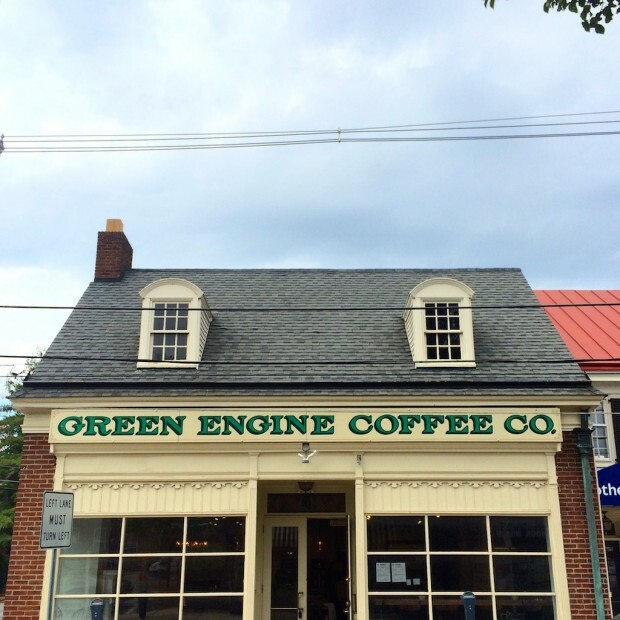 Green Engine Coffee is currently open seven days a week at 16 Haverford Station Road in Haverford.